Webbmedia Group has a great mega calendar of events that catches things not covered below. If you want to subscribe to the calendar, click here. You can also subscribe to this calendar so the information appears on your personal Google Calendar. Just go to the Webbmedia Google calendar, click the “+Google Calendar” icon at the bottom right, and then click “Yes, add this calendar” in the dialog box). The Donald W. Reynolds National Center for Business Journalism has its training calendar posted for courses through April 2013. Tickets are on sale now for the Mashable Media Summit 2012. This annual one-day conference will take place on Nov. 30 at the Times Center in New York City, where it will unite the brightest minds in media, including journalists, technologists, media executives, entrepreneurs and social media leaders. The cost is $499. SABEW is hosting a free “Drilling Deep” Investigative Reporting Workshop on Nov. 30 from 8:00 a.m. to 4:00 p.m. at the Tampa Tribune, 200-202 S. Parker Street, Tampa, FL 33606. The workshop will feature two experts with ties to the Investigative Reporters and Editors (IRE) organization: former IRE executive director Houston of the Investigative News Network, and current IRE President Johnston. Joining them in the lineup of speakers is Chris Davis, two-time Pulitzer Prize finalist and investigations editor for the Tampa Bay Times, Aaron Kessler a staff writer covering international corruption for the not-for-profit 100 Reporters and Marty Steffens, the SABEW chair at the Missouri School of Journalism. The workshop is free and includes lunch, but attendees must RSVP online in advance. Nov. 30 is the deadline to apply for the first AP-NORC Center for Public Affairs Research 12-month residential fellowship focused on issues surrounding the aging workforce in the United States. The fellow will be selected through a national competition open to mid-career journalists who are currently employed by the Associated Press or by any Associated Press Media Editors (APME) association news organizations. With funding from the Alfred P. Sloan Foundation, the 2013 fellowship includes a salary of up to $100,000 and full benefits for the year and will focus on the economics of Americans working longer. The fellowship begins in March 2013, and the fellow will be required to live in Chicago to benefit from the AP-NORC Center resources at the University of Chicago. The Donald W. Reynolds National Center for Business Journalism is holding a free online webinar, “Investigating Public Pensions,” Dec. 4. Arizona Republic senior reporter Craig Harris will explain how you can dig into your state’s public pensions. The Poynter Institute will hold a webinar, “Programming for Non-Geeks: Publishing Multimedia on the Web,” Dec. 5 at 2:00 p.m. EST. Getting multimedia content from your desktop to the Web is not always a straightforward process. This Webinar will help you navigate the foreign territory of fundamental formats, file streaming strategies and publishing methods. The cost is $29.95. The Knight Digital Media Center at UC-Berkeley’s Multimedia Storytelling series will hold a session, “Visual Essentials for Content Creators,” Dec. 10-14 at UC-Berkeley. The two-day workshop is for journalists and communications professionals interested in building their video and multimedia skills set. This intensive one-week production course focuses on the art and craft of digital storytelling and features hands-on practical skills training. The cost is $1,750. The Poynter Institute will hold a seminar, “A New Curriculum for a New Journalism,” Jan. 2-4, 2013. We’ll share with you wish lists from newsrooms around the country, case studies of successful curriculum innovation and insights into the tools that will transform the communication field. When this three-day seminar is over, you’ll know how to anticipate and address the needs of your program, introduce new ideas across the curriculum and prepare innovative, entrepreneurial journalists. The deadline to apply is Dec. 7. The cost is $1,125. The Knight Digital Media Center will hold a three-day workshop, “Create and Captivate with Video,” Jan. 9-11 at the University of California-Berkeley. Participants will receive hands-on training in every phase of planning, production and digital delivery. Master storytellers will share techniques on how to capture audience attention and make your video storytelling effective. The cost is The cost is $1,395; there’s a 10% discount if you register before Nov. 30. The Knight Digital Media Center will hold a two-day data visualization workshop, “Create Meaning from Data,” Jan. 7-8 at the University of California-Berkeley. Participants will learn to create a clearer, more meaningful picture of complex statistics and publicly available data, tell stories with interactive GIS maps, and create beautiful and effective graphs and charts. The cost is $645; there’s a 10% discount if you register before Nov. 30. The Donald W. Reynolds National Center for Business Journalism is holding a free online webinar, “5 Local Economic Stories to Jump on Now: Online,” Jan. 15-16, 2012. Marilyn Geewax, national economics correspondent for NPR, will cover the five best local economic stories to jump on now. Understand the economic concepts, and learn how to make them relevant to listeners, readers or viewers. The Poynter Institute will hold a broadcast, “Video Storytelling with the Pros: Creativity on a Deadline,” Jan. 19, 2013, at 10:00 a.m. EST. Learn how award-winning professionals tell creative stories despite time constraints in this daylong workshop. The cost is $75. The Donald W. Reynolds National Center for Business Journalism is holding a free online webinar, “Finding Your Best Investigative Business Story,” Feb. 5. Pulitzer winner Michael J. Berens help attendees find, develop and pitch a winning investigative story idea. The Donald W. Reynolds National Center for Business Journalism is holding a free online webinar, “Power Searching for Business Journalists,” March 19 at noon EST. In this free, hourlong, online training, Google senior research scientist Daniel M. Russell will offer his tips, techniques and strategies for using Google to find what might seem to be impossible. The Knight Digital Media Center is taking applications for its two-week “Multimedia Storytelling Institute 2013,” June 10-21 at the University of California-Berkeley. This intensive two-week program provides seminar style and hands-on training in essential skills for digital media production. The institute is ideal for journalists, educators and communication professionals interested in a rapid-paced immersive experience in multimedia content creation through delivery. The cost is $5,400; there’s a 10% discount if you register before May 10. 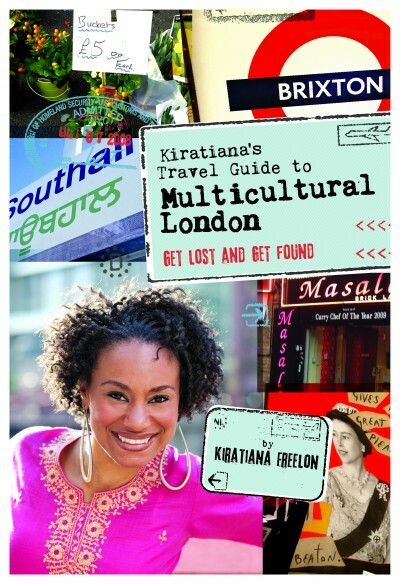 When it came time to publish my second travel guide, Kiratiana’s Travel Guide to Multicultural London, I didn’t have enough money to do the research, and pay an editor, designer and proofreader. So how was I going to fund this project? Thanks to new crowdfunding platforms like Kickstarter and Indiegogo a lack of money can never prevent a dream project from coming to fruition. I decided to use Kickstarter to help me fund my dream of publishing a Multicultural London e-book. Having funded more than 10 Kickstarter projects, I always knew that I wanted to use the Kickstarter platform. When I was researching other platforms around May of 2011, IndieGoGo appeared to be the lesser platform, the one that people used when they didn’t to get accepted to Kickstarter. It was for people who were too scared to do the ALL or NOTHING model. But I have come to respect IndieGoGo in recent months. To use Kickstarter, you have to propose a PROJECT, which pretty much eliminates non-profits and trips. With Indiegogo, there is no specific type of campaign you must have to raise money. Anything goes. Indiegogo also allows you to raise funds and keep some of the funds if you do not reach your goal. Another plus for Indiegogo – it’s open to international people. As of now, Kickstarter is only open to the United Kingdom. Now I think the platforms are equal to each other and Indiegogo might have even passed Kickstarter as the most respected platform. Your decision on how much money to raise will be the most important decision of your campaign. Obviously, everything starts with the question of how much your project needs. But if your documentary or book needs $50,000 to complete, will you go for that? Kickstarter says the average pledge is $70. That means for $50,000 you would need 714 pledges. A documentary that I’m working on, Fast Dreams needs this amount to be completed. Unfortunately the director, Harry Davis, is not a super networker (no Facebook or Twitter) and with me having tapped my own network for Kickstarter, our ability to raise $50,000 is limited. To fundraise for a campaign so large, we would have to make it go viral. When I thought about my own Kickstarter, I knew that there were about 80 people out there willing to support me. When calculating money, also think about the fees (5% on Amazon Payments and 5% on Kickstarter) and the few people whose credit cards will not go through. So the $6,000 just became $5,500 after all the fees. Kickstarter recommends that you do 30 days or less to keep the momentum going through a campaign. I chose 35 days just to give myself a little leeway. If you look at the chart below, I did not really do anything for the first five days. It finally took a friend to push me to start campaigning the day before memorial day weekend. If you have the supporters and really push your campaign I don’t think it will matter how long your campaign is (30-60 days). But do you REALLY want to be doing a Kickstarter campaign for TWO MONTHS?! No. The campaign went nowhere when I didn’t do anything for the first five days. I spent more than 20 hours creating the video, description and prizes. For $6,000 everything had to look GREAT. When Kickstarter first began, many of the projects only had pictures. These days all successful projects have a video that describes their project. When you are creating your video, make sure that it can have a use after the Kickstarter project. With a little tinkering, I may be able to use my video as a trailer for my new book. Creating prizes that were worth their value was very important to me. I had no intention of using Kickstarter for people to GIVE me money. I would offer them something of value you return. $10 got you the book. $45 got you the book, Black Paris Guide AND PDF. Okay I’ll admit that one was priced slightly more than it should have been priced. Having a spread like this gives someone, no matter what their financial situation, the opportunity to pledge to your campaign. A young person out of college can pledge $10 and your mother can pledge $500. I had a relatively simple strategy to jumpstart and sustain my campaign. 1) Call my relatives and closest friends to personally ask for pledges. 2) Develop an email campaign for my friends, family and acquaintances. 3) Reach out to travel bloggers for support in the campaigns with blogs. 4) FACEBOOK and TWEET it to DEATH. The last one is what would really put me over the edge. In hindsight, I really wish I had focused on number 3 more. When I posted something about the campaign on the Racialicious blog, it started to go viral. 1) Encouraged celebrities to retweet the information about my campaign. While I am sure that this generated more awareness for the I could not find any connection between these tweets and pledges. 2) Changed my twitter bio to reflect the twitter campaign. (Insert screen shot). I was surprised by the impact of this relatively simple action. I received at least a dozen tweets from people who didn’t follow me telling me how cool the project was. Yes, twitter bios are extremely important. 3) Near the end of the campaign, I DM’d my best followers to they could tweet out the message below. Once again, I did not see a direct connection between any tweets and pledges but I am confident that twitter helped to increase the awareness of the campaign. Now your use of twitter could also depend on the type of project you are proposing. Nick Disabato publishes a quarterly magazine about design and technology and he’s raised more than $25,000 on Kickstarter. According to my twitter chat below with him, most of his campaign promotion is split between an email campaign and a twitter campaign. @nickd hey Nick…when you launch your kickstarter projects. How do you USUALLY spread the word? @nickd @slang that's interesting because I couldn't see a direct connection for my campaign. For me it was facebook. My Kickstarter campaign did not jumpstart until I launched it on Facebook. Obviously the easiest thing you can do is post it on your wall. Just doing that will not work. If you follow the steps below, I will guarantee you that your Facebook friends will start to pledge. 1) Create an event for your Kickstarter campaign. When you create an event, make the duration of the event, the duration of the campaign. Then INVITE everyone from your friend list to the campaign. Once you finish inviting them, then start posting into the Facebook group about your Kickstarter. I found that when ever I posted or sent a message to this event, people ALWAYS started to donate. 2) Send a Facebook message to 200 of your Facebook friends (Believe me people will be mad at you. 3) Post your Kickstarter project on your Facebook page and tag about 15 of your closest friends. This will help it to go viral and friends will start posting the project on their pages. 4) Tag anyone when they pledge to your campaign. When someone pledges to your campaign, give them props by tagging them in a Facebook Thank you post. 5) If I were launching a Kickstarter campaign today, I would use Facebook promoted posts to launch and sustain my campaign. Remember, people won’t give the first time they see the campaign. But after several viewings, they will probably do it. Another important part of your campaign will be email. You MUST have an email campaign in which you send out multiple emails. I used Mailchimp to develop a nice looking email campaign. 1) Send your email to your closest friends and acquaintances. I sent an email to about 350 people. I sent the email twice to this list, but looking back I think I could have sent out one more email. This is something that I really wish I invested more time and energy into. I reached out to a few bloggers to blog about my campaign and they did as you can see here, and here. I think that their blog posts helped to raise awareness of the campaign but I can’t determine if it led to pledges. But with your fundraiser, you need awareness because on average, a person will not take action until they have seen something seven times. It wasn’t until I did a guest post for Racialicious that I saw how reaching someone’s audience could help my campaign. It was only until then that I really saw my kickstarter go viral. I started to see new people that I didn’t know before pledge to the campaign. After four months of researching, writing and fundraising for the book, I finally published it last week. Thank you to all of my Kickstarter funders, many of whom belong to the NABJ for helping me reach my 2012 dream. Today is the deadline to apply for the Poynter Institute’s Editing 2012: How to Wear 5 Hats and Succeed, being held Dec. 2-7, 2012. Learn how to effectively manage your ever-growing number of responsibilities — and produce better stories. Make better decisions about coverage. Brainstorm better ideas. Coach reporters to ask better questions. Write shorter — or longer — and edit faster. And develop a leadership style that works. The cost is $1,200. The Donald W. Reynolds National Center for Business Journalism is holding a free online webinar, “SEC Filings Master Class,” Nov. 13-15. This free webinar with Michelle Leder, who makes her living unearthing news in SEC filings, is designed to help you feel more confident in your SEC-document sleuthing. In just one hour a day Nov. 13-15, you’ll enhance your ability to spot red flags in SEC filings. The Online News Association’s Philadelphia chapter will hold a meetup, “Trends In Online Reporting,” Nov. 14, 6:30 p.m., at the Pen & Pencil Club. In September, a dozen Philadelphia journalists and local ONA members headed out to San Francisco for the annual national Online News Association conference. In addition to relationships, our friends and colleagues also discussed and shared the trends in web reporting. To help spread the brain share, we’ll have a slew of people who attended offer quick, actionable takeaways about what they learned. The Scripps Howard Foundation will present a free webinar, “Scandal Exposed: How a small newspaper held their own while covering the Sandusky scandal,” on Nov. 14. The webinar is part of the “How I Got That Story” program, which focuses on award-winning journalism topics or stories and the process used to get the story. The deadline to register is Nov. 13. The Deadline Club will hosts a panel of senior political journalists to discuss campaign coverage. Nov. 14 at 6:30 p.m. at the New York Newspaper Guild, 1501 Broadway, 7th Floor. Panelists will include Richard Berke, the Assistant Managing Editor of The New York Times, who served as the paper’s National Political Correspondent for more than a decade, and Pat Kiernan, a News Anchor and Political Reporter for New York 1. The panel will be moderated by Allan Chernoff, Deadline Club Vice President for Events and a long-time on-air reporter for CNN who now works as a media counselor at Fleishman-Hillard. The event is free for Deadline Club members and $10 for non-members. The Knight Digital Media Center at UC-Berkeley’s Multimedia Storytelling series will hold a session, “Data Driven Maps,’ Nov. 16-17 at UC-Berkeley. This two-day workshop is a hands-on program focused on applying Geographical Information Systems (GIS) tools to visualize data with industry standard techniques. Participants will learn to utilize publicly available map files and data to build layered and informative maps. The cost is $745. The National Association of Black Journalists’ Political Reporters Task Force will hold a Media Institute event, “Watergate III: The Last Word on the 2012 Election,” on Nov. 17 at Georgetown University Law Center 600 New Jersey Avenue NW Washington, D.C. This quadrennial conference takes a look at how media continues to change the dynamics of national politics; the trends generated in this election season and the impact new voters have on state, congressional and local races. It also examines the issue of diversity amongst reporters on the campaign trail and its reflection in the coverage of national and local races. Teh cost is $59 for NABJ members and $99 for non-members. Tickets are on sale now for the Mashable Media Summit 2012. This annual one-day conference will take place on Nov. 30 at the TimesCenter in New York City, where it will unite the brightest minds in media, including journalists, technologists, media executives, entrepreneurs and social media leaders. The cost is $499. SABEW is hosting a free “Drilling Deep” Investigative Reporting Workshop on Nov. 30 from 8:00 a.m. to 4:00 p.m. at the Tampa Tribune, 200-202 S. Parker Street, Tampa, FL 33606. The workshop will feature two experts with ties to the Investigative Reporters and Editors (IRE) organization: former IRE executive director Houston of the Investigative News Network, and current IRE President Johnston. Joining them in the lineup of speakers is Chris Davis, two-time Pulitzer Prize finalist and investigations editor for the Tampa Bay Times, Aaron Kessler a staff writer covering international corruption for the not-for-profit 100Reporters and Marty Steffens, the SABEW chair at the Missouri School of Journalism. The workshop is free and includes lunch, but attendees must RSVP online in advance. Nov. 30 is the deadline to apply for the the first AP-NORC Center for Public Affairs Research 12-month residential fellowship focused on issues surrounding the aging workforce in the United States. The fellow will be selected through a national competition open to mid-career journalists who are currently employed by the Associated Press or by any Associated Press Media Editors (APME) association news organizations. With funding from the Alfred P. Sloan Foundation, the 2013 fellowship includes a salary of up to $100,000 and full benefits for the year and will focus on the economics of Americans working longer. The fellowship begins in March 2013, and the fellow will be required to live in Chicago to benefit from the AP-NORC Center resources at the University of Chicago. MARCHThe Donald W. Reynolds National Center for Business Journalism is holding a free online webinar, “Branding for Journalists: You Being You,” March 5, 2013, at noon or 4:00 p.m., EST. In this free, one-hour webinar, Robin J. Phillips, the Reynolds Center’s digital director, will show you some simple tips to take control of your image, and accentuate the value of who you are and what you do best – apart from your news organization. When I attended this year’s Online News Association convention in San Francisco, I learned about the closed Social Journalism group. It has become a wonderful font of information and fellowship of like-minded people. Yesterday as the election was in full swing, there was a thread discussing which news organizations were doing cool things using online tools to cover the election. Below are my top 10, in no particular order. I absolutely LOVED this entry from the UK’s Guardian — a journey of the election in graphic novel form. John Keefe and his data team at WNYC had a busy evening with maps and dispatches covering the national, state and city elections. The Twitter team created a political engagement map to keep track of tweets from @BarackObama and @MittRomney. Users could filter tweets by keyword (like pell grant or coal) or click on a state for tweets. CNNPolitics.com created the campaign explorer map covering the race looking at ads, money and travel. NPR created the Big Board, which kept track of each candidates’ electoral college votes, voting percentages from battleground states and percentages from the remaining states, broken down by the time their polls closed. Wall Street Journal readers were able to access a map of election issues, broken down by state. it also offered a state of the race, by the presidential candidates, Senate, House and governor races. The Washington Post and ABC News teamed up to create an interactive fever chart that answers the question “who would you vote for if the election were held today?” broken down by key dates since the conventions. The San Francisco Chronicle’s Politics Blog is doing a running Storify of tweets and pictures using the hashtag #sfcvote. The New York Times asked its readers to use Instagram to cover the election using the hashtag #NYTelection. USA Today offered readers an hour-by-hour, state-by-state viewers guide that gave information on who was winning. The University of California-Berkeley is holding East Meets West, A Gathering of Literary Journalists on Nov. 10. The all-day event will be one long conversation about the tradition and the edges of narrative journalism, and will explore how to research and write great stories, where to publish them, and how to collaborate with agents and editors. There will be keynotes, lectures, and practical workshops. The cost is $250.